• OZbedandbreakfast now has over 750 registered members and growing fast! • We have over 400 registered, potential guests who receive a different newsletter geared towards B&B travel. • OZbedandbreakfast will be launching a new site in the USA over the next few months. Welcome to the seventh edition of OZ-Traveller! Or should I say...OZ-b&b News! Yes, we have re-named our newsletter so as not to get it confused with the newsletter we send to Travellers that visit our site and stay at your lovely B&B. Things are really taking off here at OZbedandbreakfast.com. In this issue we will share with you some of the comments from our travellers, and our members. We have spent the last month working hard to bring new and fantastic features to OZbedandbreakfast.com. An outline of the new features can be found in this issue along with tips and information on how to make them work for you. The month has also seen us listed in premium locations in search engines such as Google, Yahoo, NineMSN and Overture. We would like to take this opportunity to welcome our 63 new Bed and Breakfast members that have joined us in the past 30 days. We thank you for joining us, and hope you start to see the benefits of membership. To take advantage of all these new features, simply log-in to our BBProfiler tool and maintain your details. These are important features that will allow guests to book their perfect weekend getaway at your B&B. If you have any questions or require further information about any of the above features, please don’t hesitate to contacts us at info@ozbedandbreakfast.com. 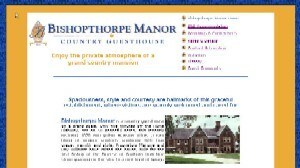 A big thank you to Ray and Marjorie of Bishopthorpe Manor, Goulburn, NSW for their involvement in our March/April promotion. The lucky winner of the promotion was Sue Lane of New South Wales. Congratulations Sue! Next month's giveaway has been kindly donated by Peta from A Beautiful Cottage Moulton Park, Sassafras, VIC. For details, you can view the banner advertisement on our homepage at www.ozbedandbreafkast.com or click on the banner at the bottom of this newsletter. If you have a red hot offer that you want to promote to potential customers for Mother's Day, feel free to submit it to our HOT $$$ DEALS by clicking here. You will need to login using you MemberID and password. The HOT $$$ DEALS section is promoted on our homepage and has proven to be very popular over the last few months. We also e-mail these deals direct to over 400 registered travellers every month. So, don’t miss out, send your hot deals to us today! Due to popular demand, OZbedandbreakfast.com now has the facilities and resources to build custom websites for individual B&B's. Click on the logos above to see the results. Alternatively, you can search on keywords such as ‘Australia Bed and Breakfast’, or 'Australia B&B' and see for yourself.